We've included listings for companies such as Signature Hardware and Knobs, Hinges and More inside our Floor Registers guide. Online seller of vintage-inspired plumbing from a variety of leading brands. Cast iron and acrylic clawfoot bathtubs, clawfoot tub faucets, and shower enclosures are among the product offerings. 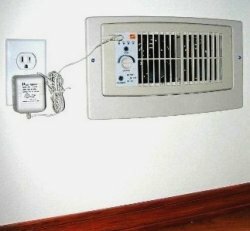 Vent fan evens out hot and cold spots.